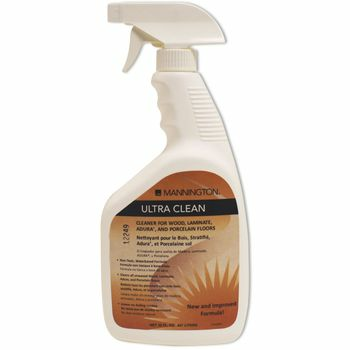 Keep up on your laminate or wood flooring maintenance with the ultra-impressive Mannington Ultra Clean. 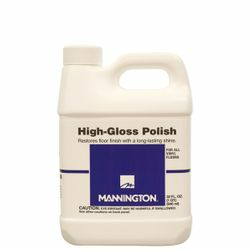 This is a best-selling floor cleaner that can be used on Mannington no-wax hardwood, laminate, Mannington Adura and porcelain floors. 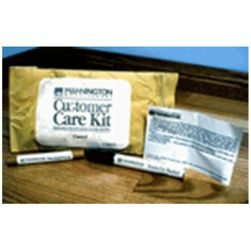 It features a non-toxic, water-based formula that won't leave behind any dullness or residue. 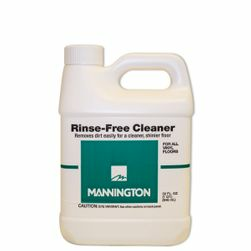 This is the best laminate floor cleaner for regular maintenance, spot cleaning and targeting tough and stubborn stains. Convenient 32 ounce spray bottle is ready to use. Vacuum, sweep or dust the floor to remove particles of dirt. If vacuuming, use a soft brush or felt head and no beater bar. Spray-mist a small area of the floor. Using a flat microfiber mop, in a back and forth motion, immediately wipe the sprayed area. Repeat until the entire floor is clean.